An e-mail has been sent and she has 48 hours to respond before a new winner is selected via random.org. Thanks to all those who entered! Thanks to SmartLab for sponsoring! 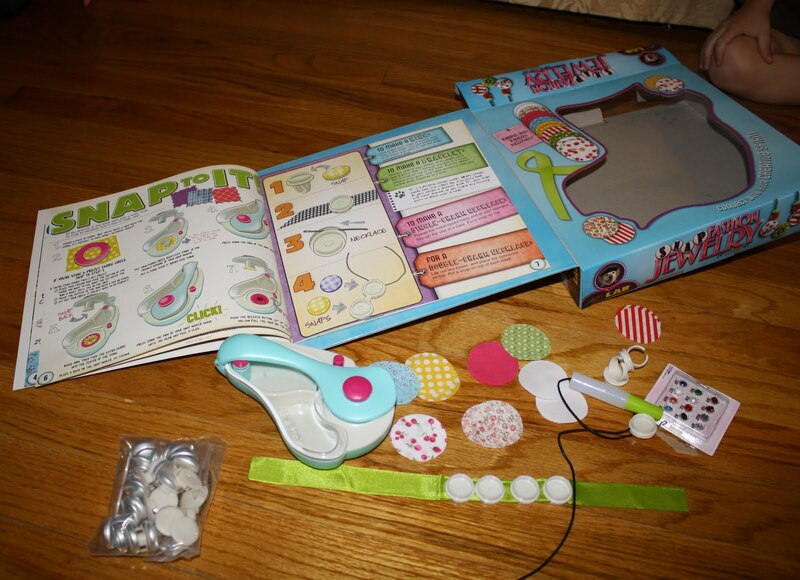 The book has some really cool projects which to me, completes or makes the kit. The concept is easy with the precut fabric circles, domes and snaps. The customizable snap maker was a neat little tool that allowed them to make their cool designs. They did have trouble with the final step of putting the snap together as they weren't strong enough so I had to help them with that. 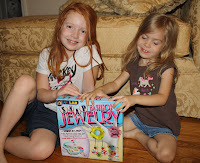 They had fun and were excited to make their own jewelry. I think it's a great idea and I'm pretty sure my older nieces would LOVE it! 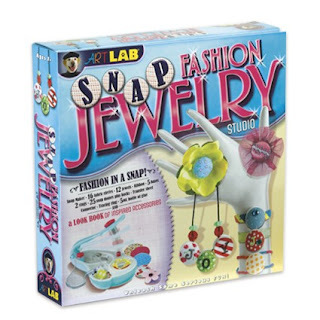 Snap Fashion Jewelry is available for $24.99 here at SmartLab Toys, Amazon.com and select retailers. They also have free download-able activities for kids here. Right now, SmartLab is giving Health, Beauty, Children and Family readers a 25% discount at www.smartlabtoys.com by using the code BLOGBUZZ at checkout. Offer expires 6/30/11. Follow my blog and visit SmartLab Toys and leave a comment on this post telling me which toy you'd like to win. This is a mamabuzz review. I received the snap fashion jewelry studio from smartlab toys for the purpose of this review. The indoor outdoor science lab looks great. I would love to win the Bug Playground. I like the Glitter Spa Lab! Entered Gourmet Gift Baskets giveaway! Hi; I would like to win the Bug Play Ground. This would be very educational. I Follow Google Friends Connect. Good blog. I like the bug playground. I like the Bath Fizzy Lab. I follow SmartLab Toys on Twitter as BookOwner. The bug playground would be a hit in my house! I think my kids would LOVE the indoor/outdoor science lab! The Extreme Secret Formula Lab looks like alot of fun. I would love to win the Fashion Studio 2011!